European Single Girder Overhead Crane is compact lifting machinery designed and manufacturing in strict accordance with FEM and DIN standard, which with advanced technology and beautiful design. Divided into general type and suspension type, supporting the use of European standard electric hoist, suitable for workshop and warehouse material handling, large parts precision assembly and other places. European Single Girder Overhead Crane working-level is A5, power supply three-phase AC, rated frequency of 50Hz or 60Hz. Rated voltage of 220V ~ 660V. European Single Girder Overhead Crane design and manufacture in strict accordance with FEM and DIN standard. 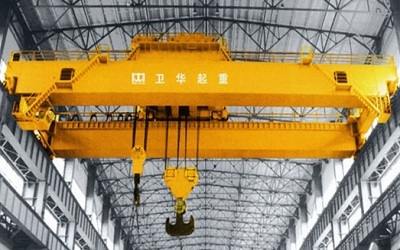 European Single Girder Overhead Crane with lightweight construction bridge, highly and strong resistant fatigue ability, high precision assembly, easy transportation and installation. 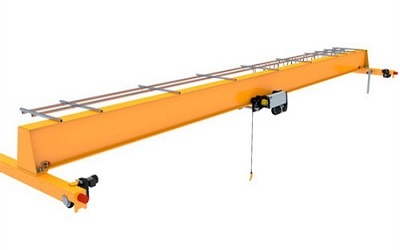 The whole crane height, weight, wheel pressure are all about 20% lower than traditional cranes, crane traveling limit size reduction, increased its operating area, effectively saving floor space and investment cost. European Single Girder Overhead Crane adopts modular design of the components to form a broad product portfolio. Use detachable connection between modules for easy installation and transportation. Standard modular production to ensure the stability of product quality, shorten lead times. 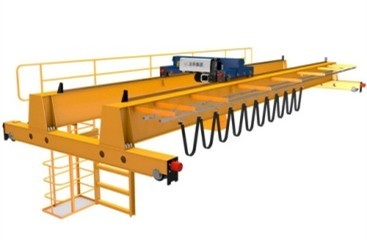 Common Euro-type single girder crane end beams use rectangular pipe whole end beam structure, no welding, using large boring machine process molding to ensure its accuracy. 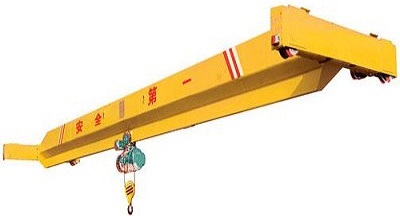 Hanging type European single girder crane cross beam is just above the span position of both main beams ends, to connect with main beam through flange, molding mainly welded by channel steel, reinforcing plate and connecting plate. Fully guarantee the machining accuracy. Steel shot blasting pretreatment, surface quality reach level Sa2.5. Web entire cutting by CNC cutting, to ensure supply curve smooth and accuracy. Seam using submerged arc welding, ultrasound and X-ray nondestructive testing. Security monitoring system equipped with overload limiter, and displayed on the display with load tonnage, prompts the operator to prevent overloading. Inspection system will automatically do self-test before crane start, including the power supply voltage level, phase inspection, zero protection and each safety device protection, etc. Set lift limit switch, issued alarm when the hook near the upper and lower limit, automatically cut off the power when reach the upper and lower limit and automatic reset, so that the motor is running only in the opposite direction, to ensure that hook not breaking through the top. Germany origin imported steel wire rope, breaking force not less than 2160N / mm², safety factor not less than 5. Germany imported motor, insulation class F, protection class IP54. And has overheated protection and alarm functions, motor housing made ​​of aluminum alloy molding, with excellent heat dissipation. Germany imported reducer, with hardened gears, increase the carrying capacity, with good housing sealing, to ensure that no lubricant penetration. Main electrical components selected Schneider, Siemens, ABB and other international famous brands, electric control box protection class IP54. Wheels made ​​by 65Mn forged alloy, with good wear resistance, fatigue resistance and long service life. Germany origin imported motor save 20% energy than the traditional cranes. Adopt multi-in-one integrated transmission mechanism, with small middle parts, high transmission efficiency. Frequency control, high and low speed 1:10 control, work efficiency increase by 20%. Using imported parts, "maintenance free + easy to maintain" design and manufacture, reduce customer costs. Perfect security monitoring system equipped with recording data "black box", with anti-sway technology, automatic electrical control, so that makes Euro-type single girder crane into "lifting robot." 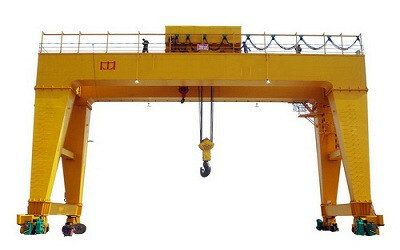 Lifting mechanism using Euro-type electric hoist, electric chain hoists.